This week’s deal features $19.99 Crystal Cuffs! Hurry and get ’em before they’re gone! They make fabulous Holiday Gifts! Offer expires 9AM on December 7th! Top Fashion Deals Every Day This Week – Don’t Miss Out! We have some AWESOME deals lined up this week for you!. Starting today until Cyber Monday, shop an amazing lineup of some of the most popular fashion items and trends right now with incredible discounts! And you’ll find lots of great gifts for the fashionista in your life too! Just In – Brand New – Winter Sweater you will love! This oversized chunky knit sweater is the perfect addition to your jeans, leggings, or joggers as you lounge. It is an essential for everyone’s wardrobe. Lots of Color options and it comes in sizes S-XL, fitting sizes 0-26! The code is NEWSTYLE and it makes the price ONLY $26.95! + FREE SHIPPING! The code is active 11/19/18 and expires Expires 11/20 at midnight. Also, happening today until Wednesday, score a HOLIDAY GRAB BAG at 50% off! 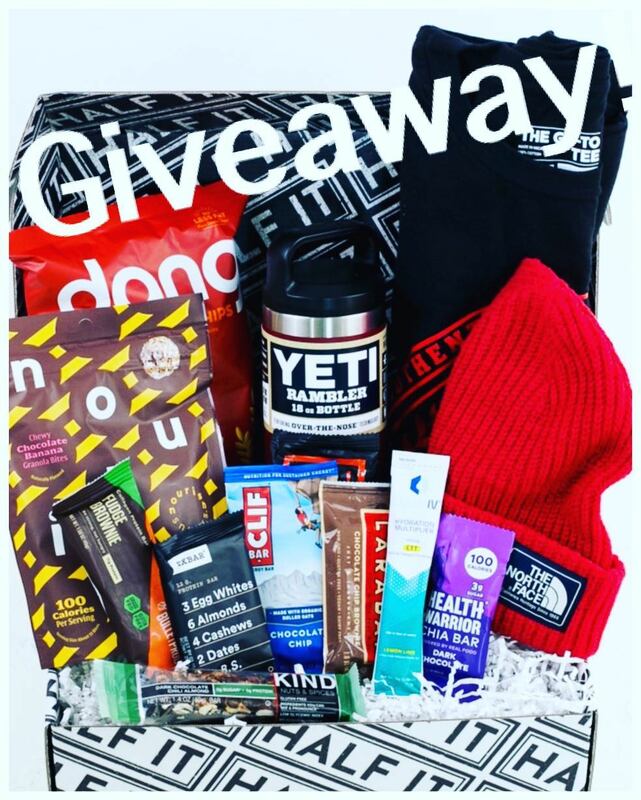 Grab bags include items such as beanies, earrings, scarves, gloves, and more, the list goes on! You will have three different options to choose from with three different price points. The $15.00 bag includes 2 ACCESSORIES + 1 MAKE-UP ITEM. The $25.00 bag includes 2 CLOTHING PIECES + 2 ACCESSORIES. The $35.00 bag includes 4 CLOTHING ITEMS + 2 ACCESSORIES! Buy a grab bag for your BFF or use us as your one-stop shop and check several people off of your list with one purchase! Shop the Holiday Grab Bags here: HOLIDAY GRAB BAGS! 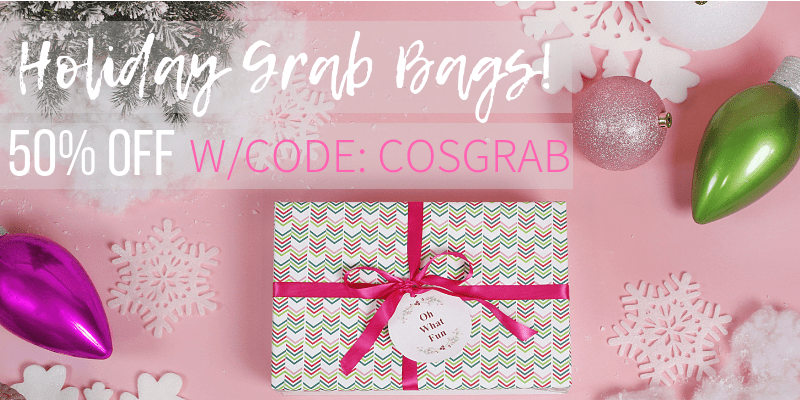 50% off + FREE Shipping – W/CODE: COSGRAB!! 2 For $16.00! Gift ideas you will drool over! More Gifting ideas- Our Best Selling and Always Popular Original and Leather Tribe Bracelets. Tribe bracelets are a popular favorite of everyone’s. Choose from several inspirational and powerful words to express yourself or to give to someone who lives by the word on the bracelet! These bracelets can add that sentimental and meaningful touch that you’ve been looking for, making them the perfect gift. From teacher gifts to your bestie to your mom or teen, you can’t go wrong with these! Sweatshirts and hoodies are a must this time of year. Holiday styles on said hoodies are just an extra bonus! Score popular, funny, super cute hoodies and sweatshirts for a killer deal that you won’t be able to pass up! The code is GRATITUDE and prices will start at $21.95 + FREE SHIPPING! Multiple items at amazing, Black Friday style discounts to complete your wardrobe and FREE sweater with every purchase of $45.00 or more! We’ve put together the best of the best when it comes to creating the perfect winter wardrobe. We have several crazy low Black Friday deals going live this day. We’ve included some of our very own personal favorite items and several of our all-time best sellers. The deals we have lined up for you will make it easy to shop for either yourself or if you are looking for that perfect gift idea for your BFF. Look for crazy low prices on our popular moto jegging, a must have jacket, a few of our favorite sweaters, our softest scarf ever, and a few knit beanies to name a few! You definitely will want to check these deals out! Use the code BLACKFRIDAY at check out and every order of $45.00 or more will receive a FREE sweater! + FREE SHIPPING! This bag is THE PERFECT gift idea for all of your on-the-go friends! It is the perfect size and it is functional and cute! Everyone knows a girl hauls her whole world in her bag, this bag was designed with that in mind, and we promise you will want one in every color! The code is PERFECTGIFT and it will make the final price $24.95 + FREE SHIPPING! Our Best Selling Sweater at our LOWEST PRICE! This sweater is consistently a best seller and never disappoints!